She hadn't caught one fish all day long. Let’s get this out of the way first, if you played the original Dead Island then there is nothing in this sequel that will shock and surprise you. 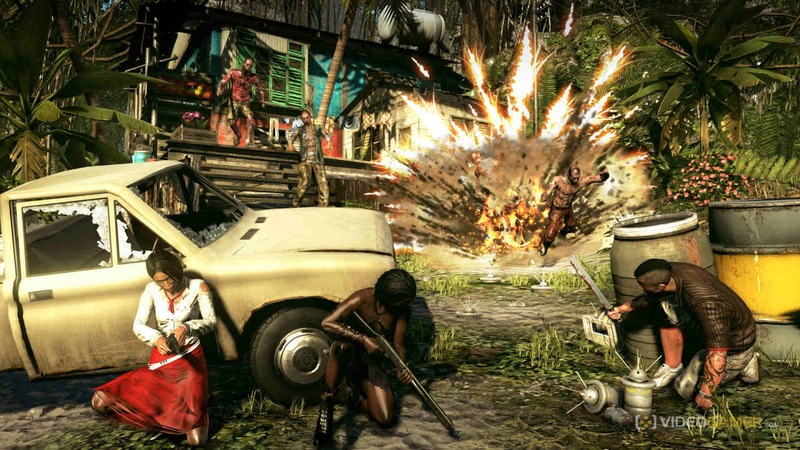 Dead Island: Riptide opts to provide nothing new in the gameplay department other than a new environment to explore and a bunch of new weapons to make. 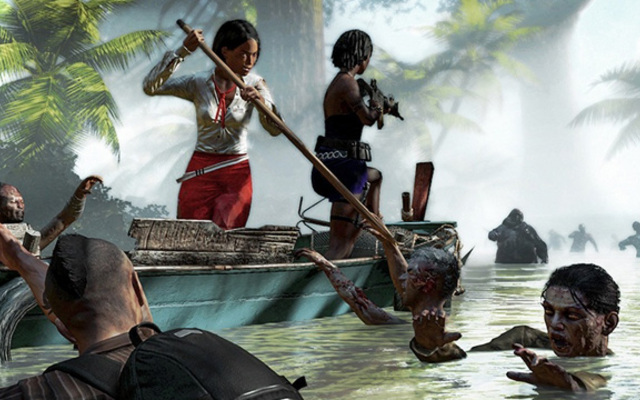 That being said, if you found Dead Island fun, which a lot of people did especially in cooperative mode, then there’s absolutely no reason why you won’t have a blast here. The continuous accumulation of experience points, upgrading abilities, finding new weapon combinations and of course playing with friends is incredibly addictive, despite many of Dead Island: Riptide’s shortcomings. Nice skirt, is that CeX red? For those of you who haven’t played a Dead Island game and are looking for something to share with friends, then this (breathes in) first-person role-play horror adventure (breathes out) could very well be the game that brings you and up to 3 other friends together for a really good time. Dead Island: Riptide may not be the most incredible technical experience, but no one can deny that brutalizing zombies with friends isn’t fun. In a flash, Malcolm knew lighting his fart was a bad idea. Dead Island: Riptide isn’t the best looking game on the market but has some appealing environmental designs and varied special zombie enemies that look pretty cool. The ‘initiate quest, complete quest and get reward’ structure is simple yet incredibly effective at getting players to use that age-old saying, “come on, just one more before we go.” Dead Island: Riptide does a fantastic job at playing with gamers’ psychology by making this experience incredibly addictive and difficult to put down despite once again, many technical shortcomings. Those of you looking for a little bit more detail in terms of presentation, expect cheesy and ridiculous voice-acting, a storyline that serves as nothing more than fodder to let you smash some zombie heads in and occasional glitches. The Dead Island series as a whole is a mystery to me. Despite on pretty much every level being a below-average title, it has this undeniable fun factor that I just can’t seem to escape from. When I play Dead Island: Riptide I laugh out loud at how bad some of the technical ideas and implementations are, yet I can’t seem to stop following my friend around and completing quests. You really get the worst out of this game in single player but the absolute best with friends, so if you don’t have anything better to play at the moment and can convince a group of friends to get together and pick some copies up, then shoot, go for it. for quite some time I've been looking for a 'zombie' game to get away from the write my essay pro website workload and thanks to you I found it.. and thank you for the review! !